Globalist billionaire George Soros has been found guilty of illegal insider trading in France, and has been issued a hefty $2.3 million fine. 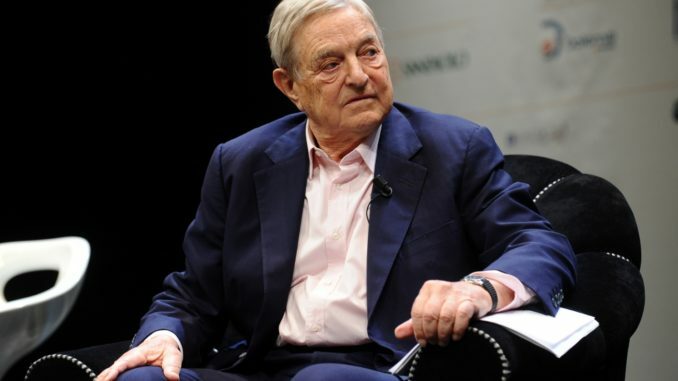 Earlier this week, the UK’s Financial Times awarded Soros their “man of the year” award for funding open borders and advancing his globalist agenda. Just a few days later, he was found criminally responsible for fraud. The New York Times reports: After a 14-year investigation, a French court today convicted the American financier George Soros of insider trading and fined him 2.2 million euros ($2.3 million), the amount prosecutors said he had profited from the trading. Mr. Soros, who was not present in the courtroom, called the verdict unfounded and said he would appeal. Mr. Soros, chairman and president of Soros Fund Management, is one of the world’s richest fund managers, and probably its most famous. He is best known for making huge and very successful speculative bets in currency markets, and for his extensive philanthropy, most notably in countries of Eastern Europe. Prosecutors accused Mr. Soros of buying stakes in four formerly state-owned companies in France, including one of the country’s leading banks, Société Générale, for his Quantum Endowment Fund in 1988 based on confidential information. The stakes were worth a total of about $50 million at the time.